Taking photos with iPhone is easy and fun, sorting them out — not so much. Download Gemini Photos and clear unwanted pics with ease. Twenty similar photos of your friend at the beach, a dozen pics of Machu Picchu you never look at — that’s why you can’t find a thing in your Camera Roll. Clear the mess with Gemini Photos and get a tidy library that’s a pleasure to view. This one or that one? The best one! Which of these fifteen takes do I keep? Which one did I end up posting, again? Choosing can be hard, but Gemini Photos will help. It suggests your best shots using smart technology, so you don’t have to agonize over every photo. Some pictures matter, some are just clutter: screenshots of maps you never deleted, blurry concert selfies, chats, addresses, whiteboards... Gemini Photos will find all of those, so you can remove them in a satisfying tap. Remember how you thought “I’ll go through these pics later” — but 2 years later you still haven’t? With Gemini Photos you can swipe through them within a few minutes: up to keep a pic, and down to delete it. Buying more storage when you have too many photos is like getting a new closet when you have too much stuff. You could do that — or you could clean up your library with Gemini Photos and stop wasting money on storing things you don’t need. We know it’s scary to trust an app with your photos, because you might lose a memorable shot. But don’t worry: nothing’s deleted until you review it. Plus, with the Ignore List, you can skip entire photoshoots that have sentimental value, like the moment your baby first started walking. Gemini Photos compares your pics in the privacy of your iPhone — no uploads, no cloud, no leaks. The algorithm scans through your photos, but you’re the only one who actually sees them. 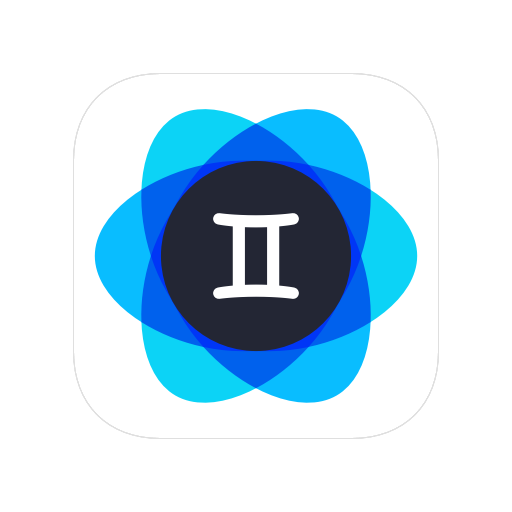 Gemini Photos takes the stress out of scanning your library, and does what I believe to be an excellent job of sorting the wheat from the chaff. I’ve found Gemini Photos to be a great way to quickly eliminate junk from my large, poorly-managed photo library. It’s one of those single-purpose iOS utility apps that makes an otherwise tedious task much more palatable. The folks at MacPaw have come out with a new app that makes deleting all your unwanted photos a breeze and even helps you find your best shots. No more nagging your partner to help you pick a photo, no more scrolling forever to find the pic you want. Download Gemini Photos, and you’ll finally have a library you love. *4.5 - rating for all versions, based on 773 user reviews.